Why Teamwork is essential for SignForce! I was recently watching a soccer match and I found it entertaining that I was essentially watching 22 individuals with possibly as much as 44 ego’s all working for a ‘common cause’ – that is, to beat the other team – the opponents, “THE ENEMY”! It got me thinking about teamwork in our business, because out of the entire 90 minutes of the game, there was only about 60 seconds of PURE TEAMWORK – and that teamwork produced TWO goals. Now if that isn’t an indicator of the power of teamwork, I have no idea what is. It was funny that my introductory video on teamwork, partnerships and collaboration was made a few hours before I get to watch the match – you can view the video here http://www.youtube.com/watch?v=U-OoENj6cEQ because I was looking at teamwork from a very different perspective. At SignForce we believe in working as a team, and strive to do so all the time. Sure, there are times when we don’t get it right, but I would like to believe that we do get it right the vast majority of the time, as shown by the fact that our client’s come back and we meet most of our deadlines – we are still working towards meeting them all! We work to entrench teamwork from the start with the employment process being a collaborative one, where new employees are assessed by existing team members to ensure that the ‘newbie’ has the correct work ethic to fit into the team, and will support the team when necessary. Once again, this is not always easy, sometimes resulting in new people being with us for a short period, not because they cannot do the work but because they simply do not fit in with the rest of the team. Next we instil teamwork (and sustainability) by training all interested parties to do everyone else’s work where possible. Yet again, this is not always a simple task, and it has to be ongoing, yet the rewards are great, as, with a business like ours where we keep the core staff as small as possible, if one person is not at work, and no-one else could do the required work, deadlines would be missed and clients lost. We believe teamwork is also essential from a perspective of support, recognition and responsibility. Each team member is responsible for upholding the good name of the business AT ALL TIMES! If a bad decision is made by an individual, the individual is held accountable, and when brilliant decisions are made, where possible the individual is supported and rewarded. The SignForce attitude towards teamwork can be seen when visitors enter our premises as well as when we go to site. It can also be seen by the manner in which we deal with our clients, suppliers and competitors, because we believe that teamwork is part of the life blood of our business being successful. I sell signs for a living, and am a PROUD sign salesperson. That said, in reality, I do not sell signs. I consult with prospects on their sign requirements, with the objective of ensuring that any money they spend is an investment in marketing. At times this may mean advising people that the signs they want are not the best investment they could make, because I believe that in the long run people who respect my advise will become long term clients. In the almost 14 years I have been selling signs one of the trends I have noticed is that prospects expect me to offer advice – in other words act as a consultant. 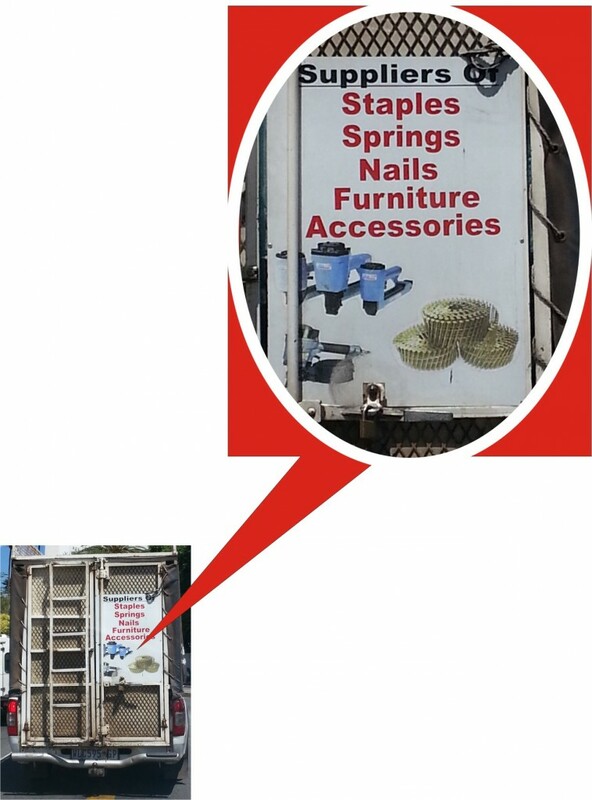 I cannot understand why ALL my competitors do not see themselves as sign consultants. Could it possibly be because they see themselves as order takers, not because they do not give advise, but because [they believe] their prospects are not prepared to pay for the advise – or could it be because they are too scared to be held accountable for poor advise? At SignForce we have built our business on giving the best advise we can. It has worked for us, so why wouldn’t it work for our competitors? If you are looking for advise on how to make your investment in signs pay off, contact me, Arnold N. Pollak, and I will give you the best advise I can.